During the medieval period, religious scribes adorned their manuscript pages with the tightly spaced, dark, and beautiful letterforms of the blackletter script. 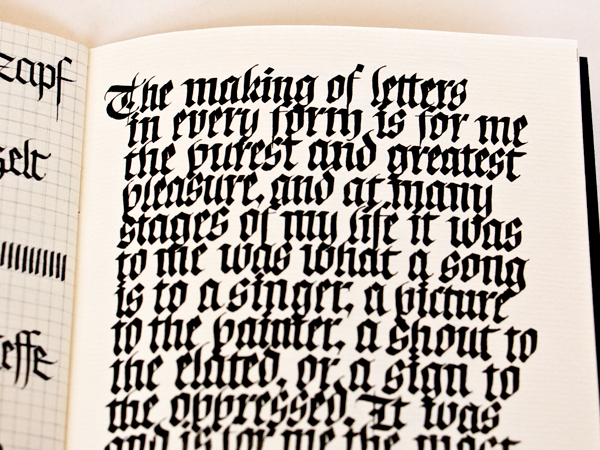 You can learn how to write this style at the Blackletter Calligraphy workshop hosted by Kevin King and Paperhouse Studio! The price of the workshop covers all supplies. Also included in the fee will be a workbook that you can take home that contains all of the theoretical information covered in the class, and examples of original calligraphic artwork by Kevin King.